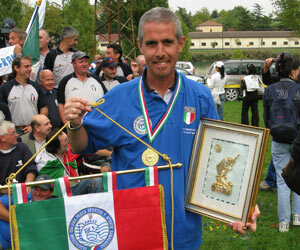 Gianluigi Sorti was born in Seriate (BG) 2 October 1964. 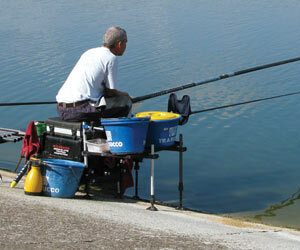 Following his father Angelo, since childhood, was fishing passionate, first as a hobby and then more and more to the point that it has devoted almost all his free time. 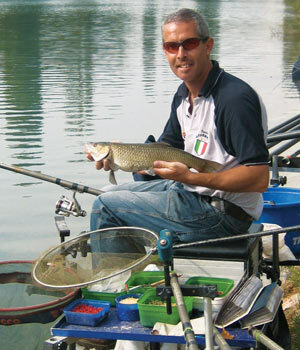 Growing up in angler Club Bergamo in 1989 he arrived at Ravanelli-Trabucco (in Soresina) and since then is the undisputed leader. 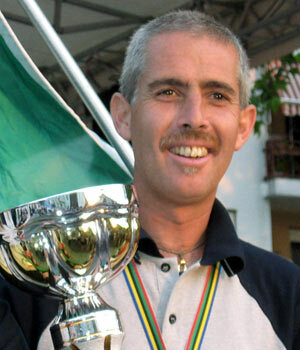 He is happily married to Cristina that he has always followed and supported, and in December 2003 has become father of Linda. He works as a employee in a bank and he devotes his holidays and weekends to this immense passion, a passion that led him to be one of the most successful racers in the field. 1993 Portugal 5th absol. - 1995 Finland 4th absol. 2000 Italy 7th absol. - 2001 France 4th absol.